Below is the 2018 season recap for the Detroit Lions. The defense bottomed out in Matt Patricia’s first season as the finished 6-10 and dead last in the NFC North. The play of Kerryon Johnson and Kenny Golladay gave a glimpse of what could be with two young stars in the making. Both earned grades above 80.0 on the season. 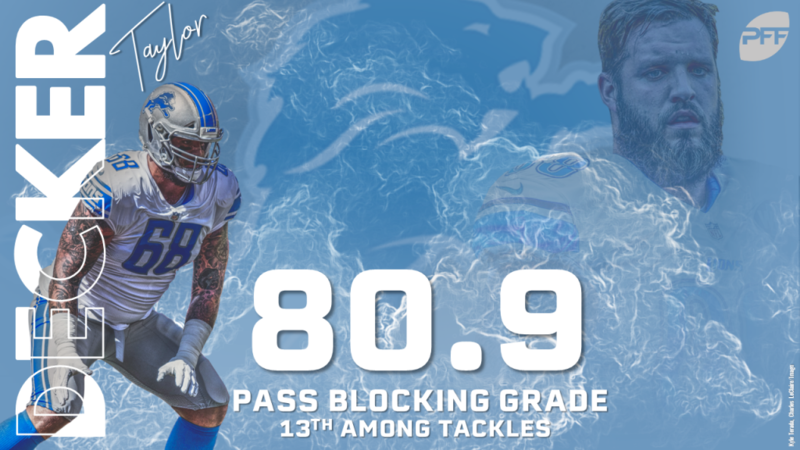 Left tackle Taylor Decker was back to his best with an 80.9 pass-blocking grade. Rookies Tracy Walker and Da’Shawn Hand, similar to the young guys on offense, provide youth and potential hope for the franchise in Matt Patricia’s defense. Damon Harrison‘s impact turned the defense from a run-stopping liability to a run-stopping force, and he won his fourth straight award for Best Run Defender in the NFL. The loss of Golden Tate hurt, as they couldn’t quite gain back the monster he was with the ball in his hands. Injuries along the offensive line limited Joe Dahl and T.J. Lang to less than half a season’s worth of work. Frank Ragnow didn’t quite live up to expectations with a 61.9 grade as a rookie. 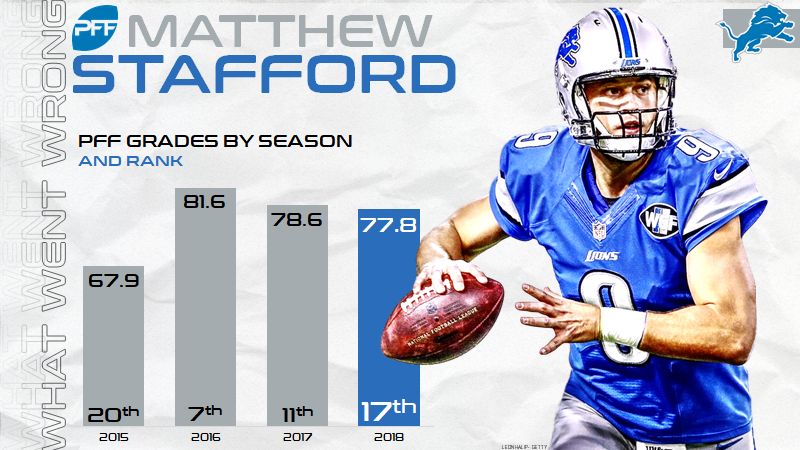 Matthew Stafford earned his lowest grade since 2015 despite a plethora of talent around him. 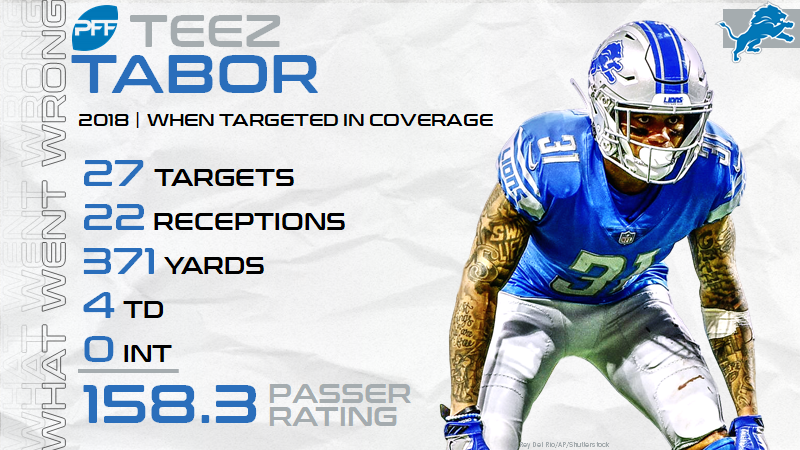 Last year’s second-round pick Teez Tabor proved to be a liability, earning a 32.2 overall grade on the season. 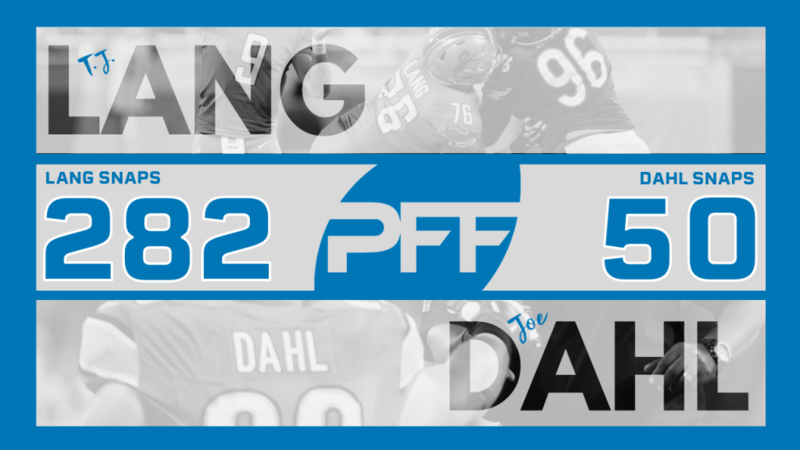 Ziggy Ansah underperformed on the franchise tag and injuries limited him to fewer than 200 snaps. 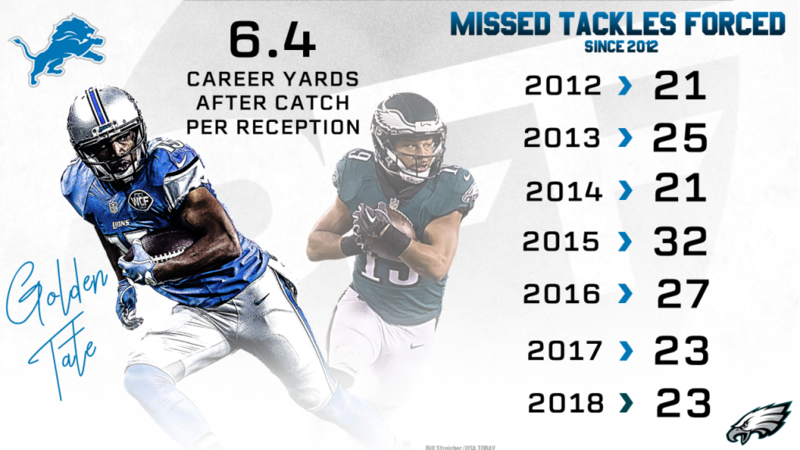 Golladay showed the ability to take over games at times and had multiple 100-yard games after they traded away Golden Tate. Hand wasn’t even a starter his last year at Alabama then came to Detroit and looked like a different player. He excelled with a 79.5 pass-rushing grade and 80.7 run-defense grade. Robinson may have played limited snaps, but he earned a grade over 90.0 for his work in run defense. 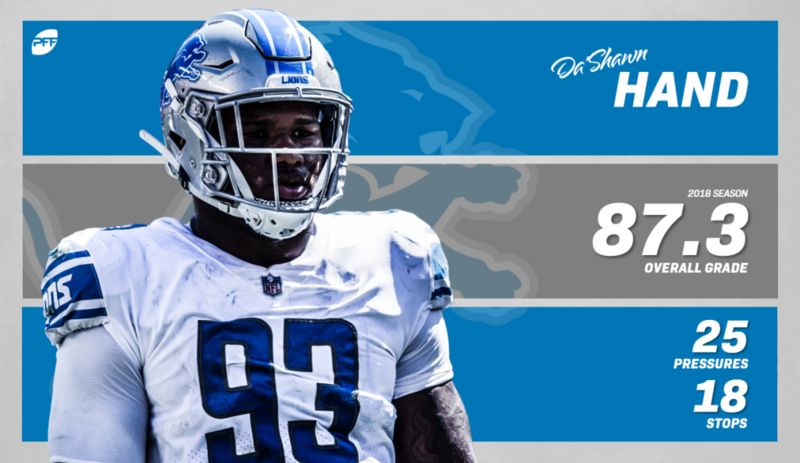 He earned the highest grade among all rookie defensive linemen and finished top-10 in our rookie of the year rankings. The Lions need playmakers defensively, but the young talent on the offensive side of the ball inspires hope going forward.